Are you planning to get a tattoo which is beautifully detailed, but not so time consuming? Have you decided the placement of that tattoo? 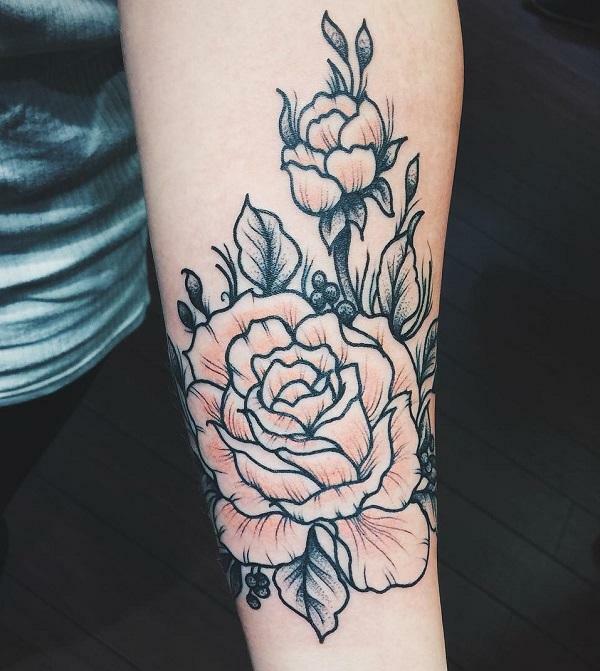 If not, then we would highly suggest you to go for a flower tattoo on forearm. Getting a tattoo is still considered as a taboo in many cultures and society and body art is still looked down on as something which is not good. But forearm flower tattoos are here to rescue. 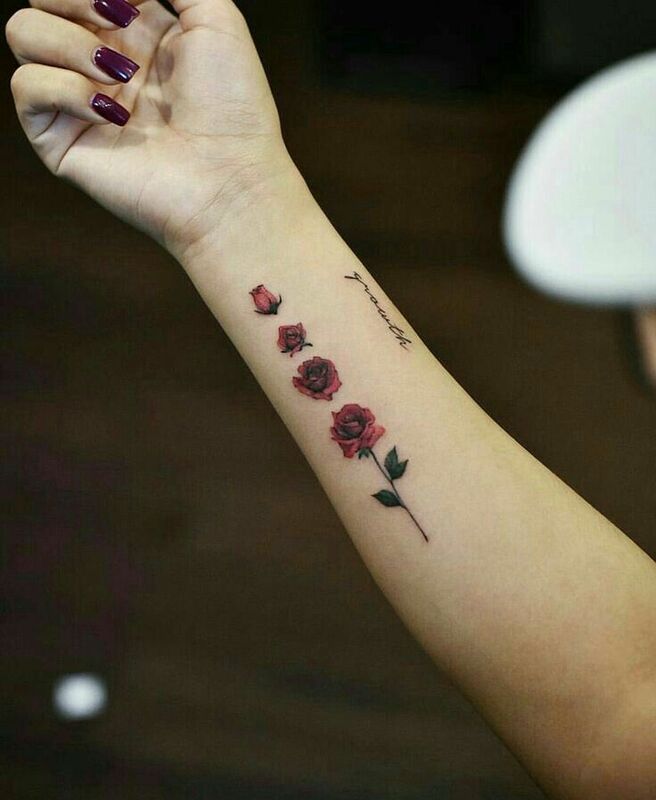 These tattoos are beautiful, elegant and attractive, due to their placement they can be hidden easily whenever you want and you can also flaunt it if you decide, there is no such thing as loss when getting a forearm flower tattoo. Flower tattoos are considered as one of the most sought after tattoos due to the simplest fact that they are simple and beautiful. Everyone loves flowers, flower tattoos on forearm is one of the most popular placement of getting a tattoo. Forearms are most mobile part of the body, that means your tattoo can be easily seen whenever you move your hand or point. 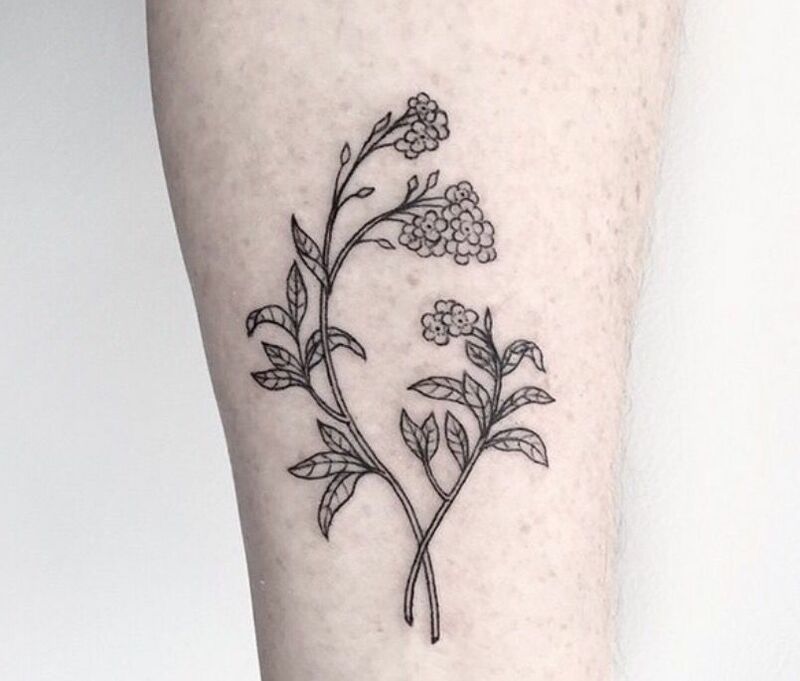 The forearm area of the body also provides a large canvas for the tattoo, if you don’t want big and detailed flower tattoo then you can choose miniature flower design. 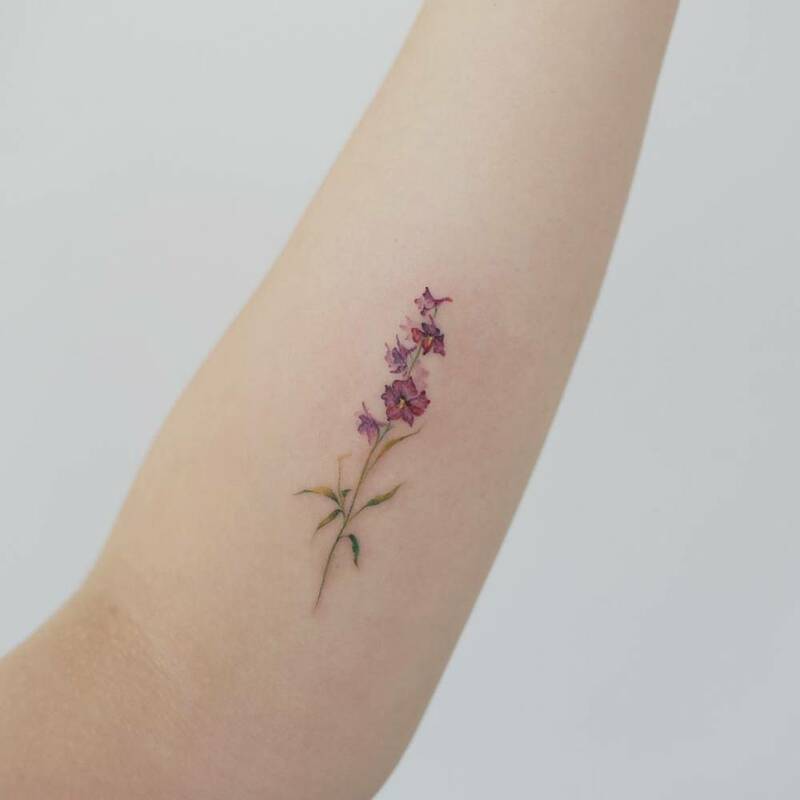 While in past forearm flower tattoos were only popular among women as flower tattoos are considered to be very feminine and fragile tattoos, but in today’s world, men are also getting forearm flower tattoos. So forearm flower tattoo is a unisex tattoo and you can wear it regardless of which ever gender you belong from. 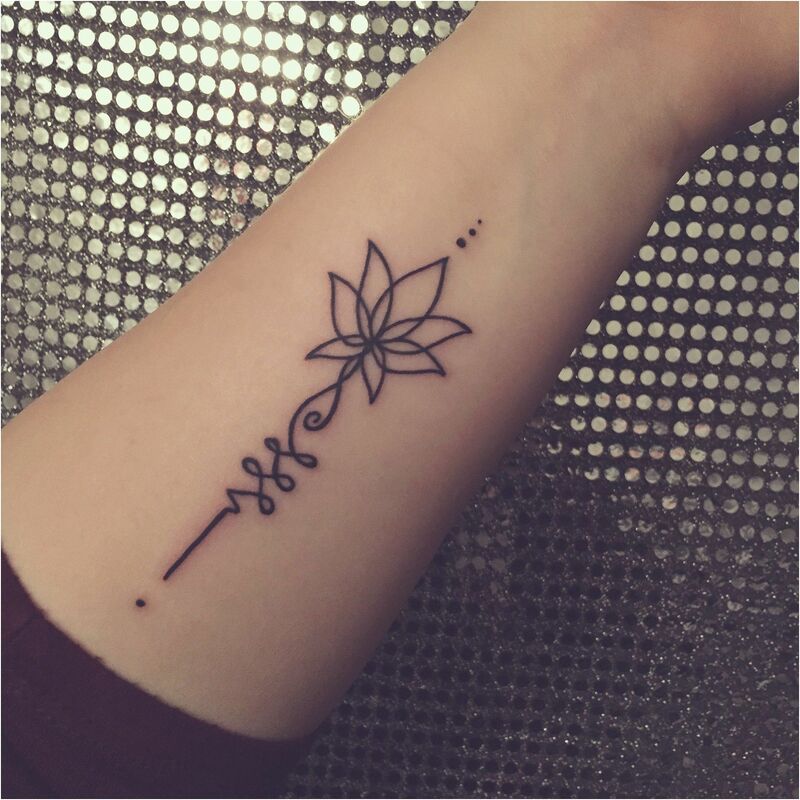 While there are many placements to choose from when you’re getting a flower tattoo but getting forearm flower tattoos has its own advantages. You can easily cover up these tattoo if your office has ‘no visible tattoos’ rule. 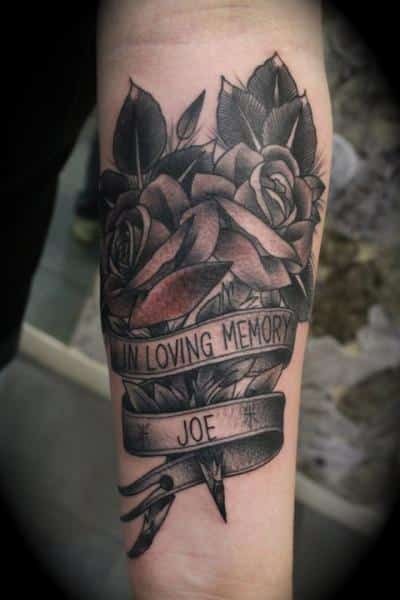 There is also another advantage of getting a forearm tattoo, that is; it hurts less as compared to other popular tattoo placement such as ribs. It is because that there is more muscle in your hands than on your chest. But the pain depends on the threshold of pain of the tattoo wearer. Forearm flower tattoos are very popular tattoos and there are uncountable designs and flowers from which you can choose. 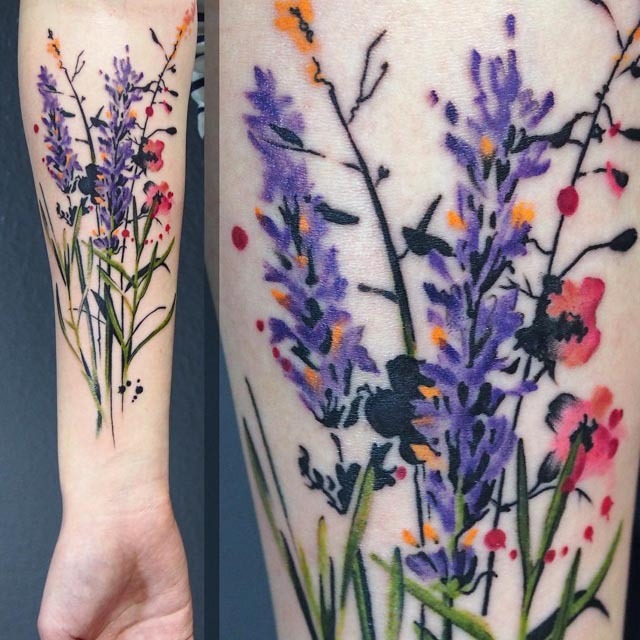 Due to the delicacy and grace that flowers represent and the strong portrayal of femininity and charm, flower tattoos are often chosen by women. But, flower tattoos have a long, intricate history and beautiful meanings that make them an excellent, traditional option for men as well. Many people choose a flower tattoo just to decorate their bodies but flower tattoos have different meanings in different cultures. For example, Rose is considered as the most beautiful flower in all the cultures. It signifies beauty, delicacy and strength. The Lotus flower is associated with life, knowledge and enlightenment. Daisy signifies innocence, love and purity. symbolizes eloquence. Purple iris is symbolic of wisdom and compliments. Blue iris symbolizes faith and hope. Although flower tattoos are considered as cliché but they can look very beautiful with the modern creative way of tattoo art on forearm. If you’re a fan of traditional tattoo art they you can get a simple flower tattoo but you can also experiment with color inks and get the watercolor flower tattoo. 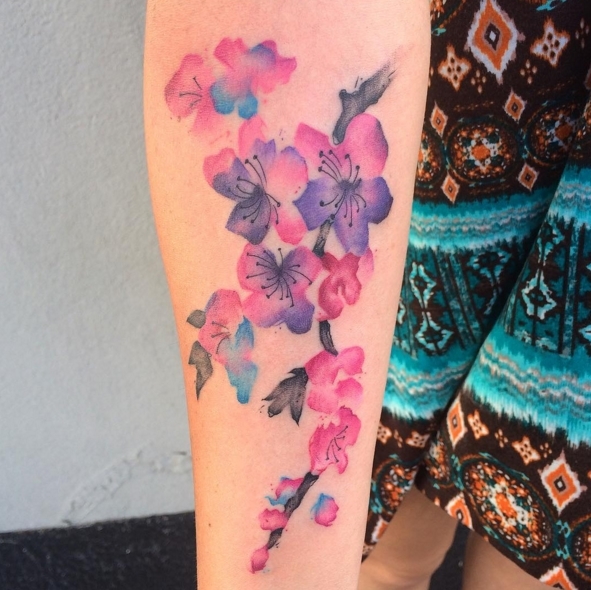 Watercolor flower tattoos look artistic and striking and can make your forearm arm looks very striking and painting like. But just because its a flower doesn’t mean it has to be colorful. You can also get black and white inked flower tattoo on your arm. 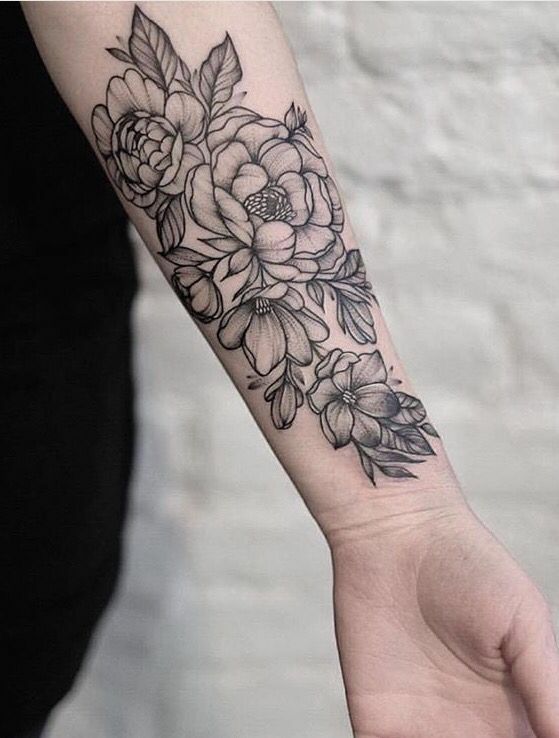 A black inked flower tattoo on forearm look gorgeous and mysterious and it should be your next tattoo because it is unique and unconventional. 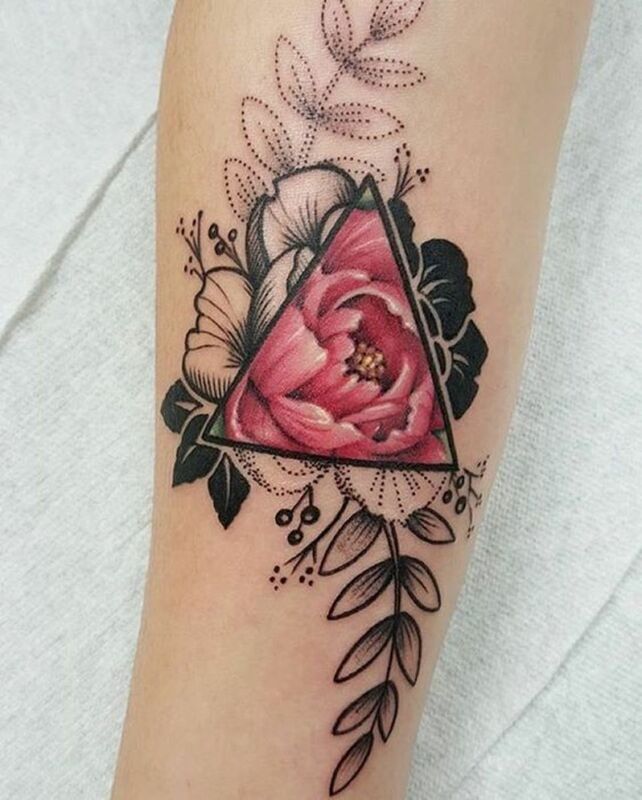 You can also pair up your tattoo with different images and designs such as animals or symbols but flower tattoos on forearm look more beautiful in its own. Here are some flower tattoo designs on forearm for you.